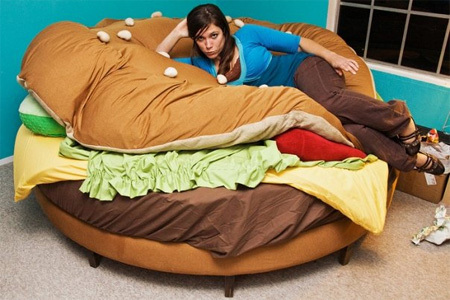 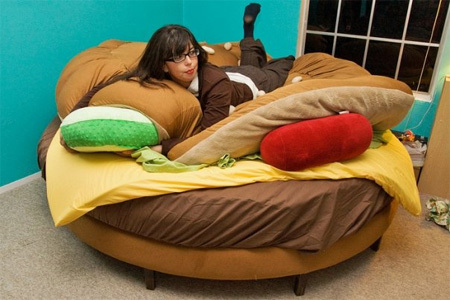 Kayla Kromer has used a round mattress from the 70’s to create a bed that looks like a giant hamburger. 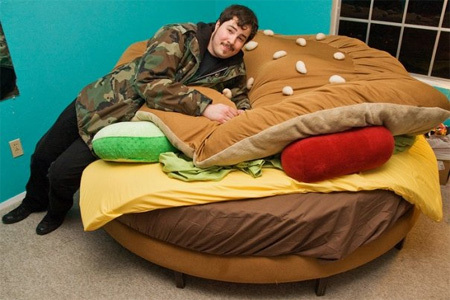 very cute and funny… but maybe it’s just me but if I had seen this in my boyfriend’s bedroom, it might have been a bit of a turn off!! 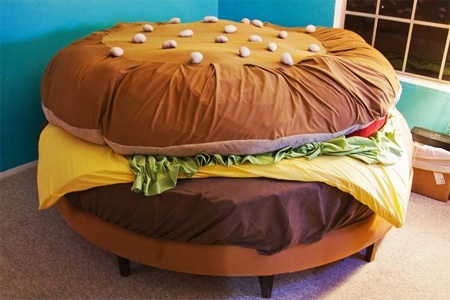 Wow, careful not to get your “special sauce” on the sheets…. 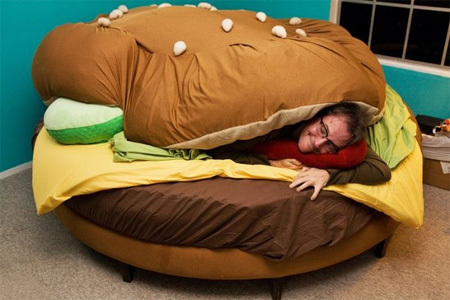 how much is a hamburger bed i want one really bad they are so sick.